Del Norte Gun Club has a sub club called the Del Norte Defensive Shooters. 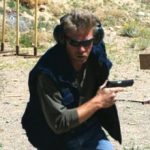 Del Norte Defensive Shooters is a group of dedicated, and responsible gun owners that foster competition, growth and sportsmanship through competitive firearms shooting. We are a sub group of our host venue, the Del Norte Gun Club. Our mission is to encourage ongoing training, marksmanship and safety through competition and events, while representing the gun owner community in a positive light. The primary discipline and governing body we subscribe to is the International Defensive Pistol Association, or IDPA. In addition to our IDPA affiliation we also hold other matches ranging from concealed carry to shotgun and rifle competitions. Check the calendar for upcoming events. Our membership is made up of entirely volunteers and funded by small match fees and sponsorship donations. If you wish to get involved, help us out, or just come watch please contact our match director using the contact page. In addition to our regular matches we encourage involvement in the shooting community outside of our discipline. As well as actively participate in improving Del Norte Gun Club and the sport of IDPA.